How can I make sure that business.facebook.com and all the domains that it calls are allowed? Discussion in 'Custom Filters' started by esanchezis, Oct 19, 2017. Facebook Business manager is the admin panel that I use to manage my employer's business page, review ads made by my coworkers, etc. 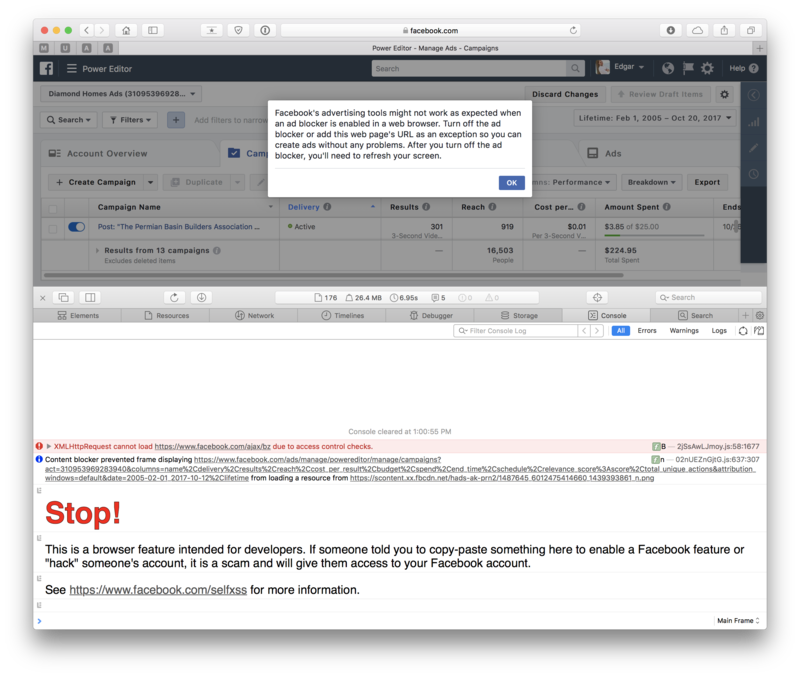 Facebook's advertising tools might not work as expected when an ad blocker is enabled in a web browser. Turn off the ad blocker or add this web page's URL as an exception so you can create ads without any problems. After you turn off the ad blocker, you'll need to refresh your screen. I'd like to make sure everything gets loaded when I'm working on Facebook Business Manager, including all requests to www.facebook.com, fbcdn.net, etc. But ONLY when working on business.facebook.com. Is this possible? When I'm working within Business Manager, Adguard already shows it as being in the exceptions. Which AdGuard are you using? Please disable all filters except Eng filter, open filtering log, select checkbox `Blocked` and reproduce the issue. Then make screenshot of blocked request. I'm using Adguard Extension for Safari on macOS. I made the changes you suggested but it seems like it didn't make a difference. I just realized that the Facebook Ads Manager runs off of facebook.com/ads/manage/ rather than from business.facebook.com like the page manager.